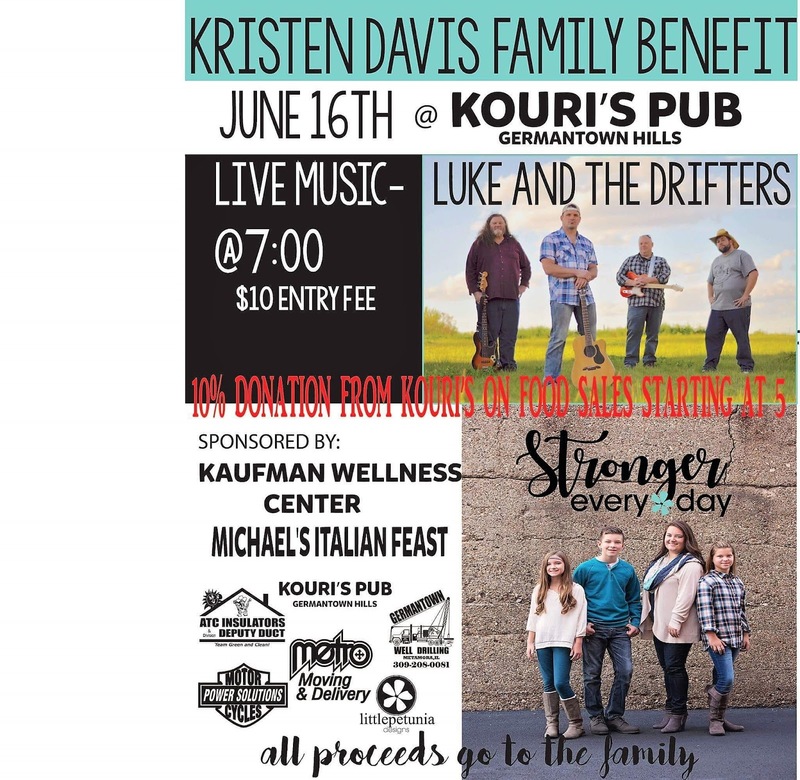 Friday, June 16th, 2017 Kouri's Pub, 1105 Elizabeth Pointe Drive in Germantown Hills will be hosting a benefit for Kristen Davis and her family. This family is struggling and could use some help. Kouri's has stepped up and will be donating 10% of their proceeds to the family beginning at 5:00 pm. There is a $10.00 entry fee that begins at 7:00 pm and all of that money will go to the family. While enjoying some delicious Kouri's food you will be entertained by the live music of Luke and The Drifters.